There are certain days which I count as life-changing, and 42 years ago today, 20 April 1972, is one. This was when I first met Dartmoor champion Sylvia (Lady) Sayer. We became friends instantly, a friendship which lasted for 28 years until she died, on 4 January 2000, aged 95. 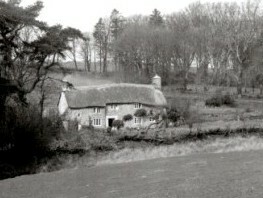 The meeting was at Syl’s home, Old Middle Cator near Widecombe-in-the Moor, an ancient, granite Dartmoor longhouse with its thatched roof. I had seen Syl in action the previous year, at a public meeting in Princetown. This was called to discuss a plan to make the Swincombe valley, a wild basin on southern Dartmoor, into a reservoir. The scheme had been defeated in parliament the previous year but the farmers were clamouring to revive it, not wanting a reservoir on what was low-grade farmland off the moor. I sat at the back of the crowded hall, feeling increasingly angry as speaker after speaker condemned lovely Swincombe as a useless bog. Then, to the obloquy of the assembly, Syl stood up and spoke with courage and eloquence about the value of wild country for our wellbeing. And I knew then I must campaign for it. I also knew that I must meet Syl. 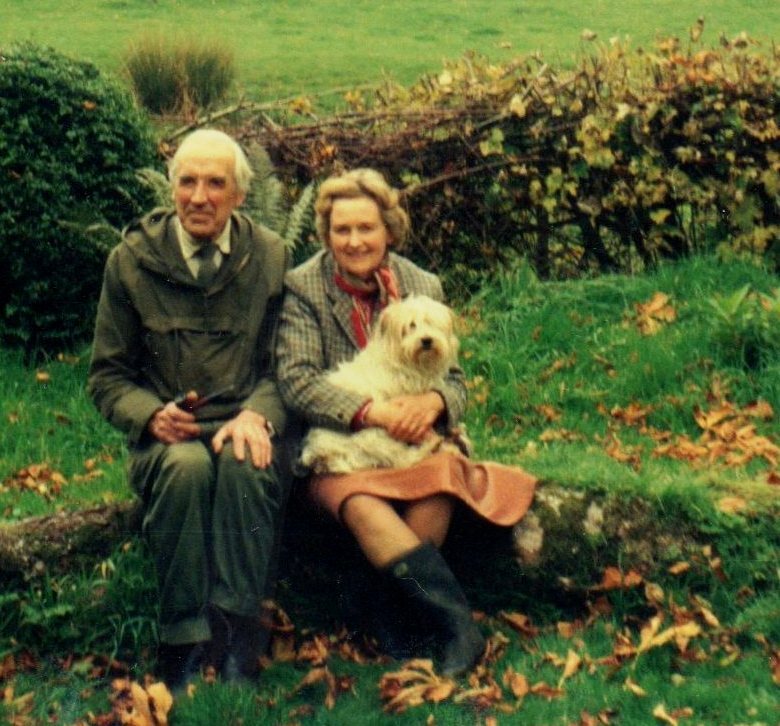 Dee Ivey at Hillbridge Farm, Peter Tavy, with whom I stayed regularly, knew Syl. The following April Dee arranged for us to visit Cator. 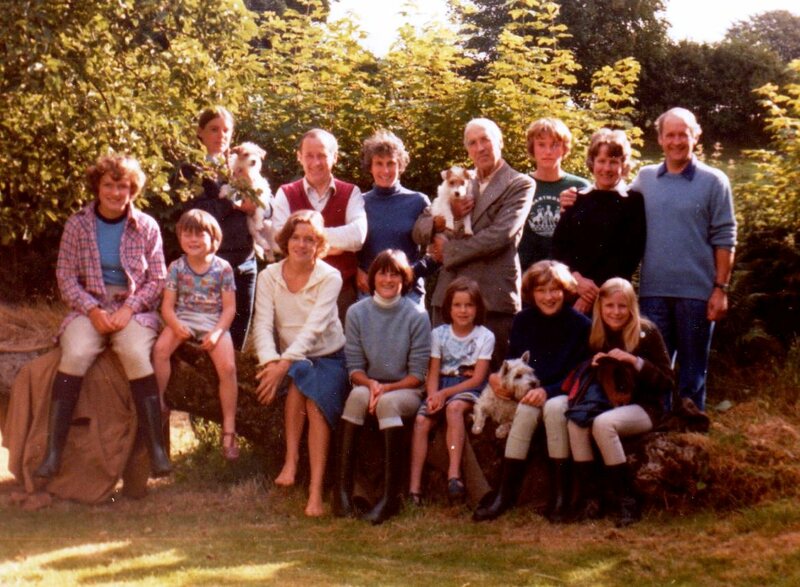 I can picture that first meeting, in the small, dark sitting-room, with Syl and her husband Guy, their son Oliver (Oz), wife Janet and three granddaughters. Guy, I discovered later, never really wanted visitors and before they came would mutter ‘they won’t know when to go!’. No doubt he said that before we arrived but of course he was charming to us, and I am relieved to remember that we did go quite promptly after coffee. I can recall the Cator smell: the welcoming hearth in the centre of the cottage generated warmth and the aroma of damp wood and peat. I was eager to get involved in the Dartmoor battles, and to hear what I could do to help. ‘Why, you must join the DPA of course,’ said Guy. I was able to tell him that I had already joined the Dartmoor Preservation Association: at 17 I was probably its youngest member. Syl promised to let me know when my help was needed with writing letters to ministers and MPs, and she was a very good correspondent. I still have her many letters to me, in her beautiful, instantly-recognisable handwriting. When we first met, Syl was chairman of the Dartmoor Preservation Association, a post she had held since 1951 when she and others had revived the association from a wartime decline. The DPA was founded in 1883 by her grandfather Robert Burnard; Syl said she had granite in her blood. 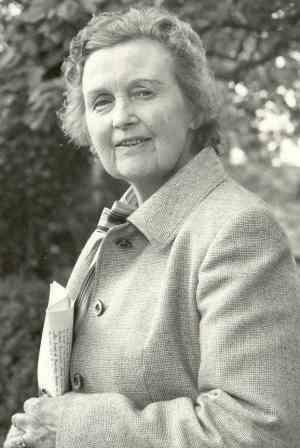 In 1973 she retired from the chair and became the DPA’s patron. I owe Syl and Guy so much. They welcomed me into their family and treated me like one of their grandchildren. I spent many idyllic summers there, the house bursting at the seams when the two families came to stay (they had twin sons, Oz and Geoff, and five grandchildren) with their friends. I slept on a camp bed in the studio at the end of the garden, surrounded by Syl’s Dartmoor files and the door open to the stars. 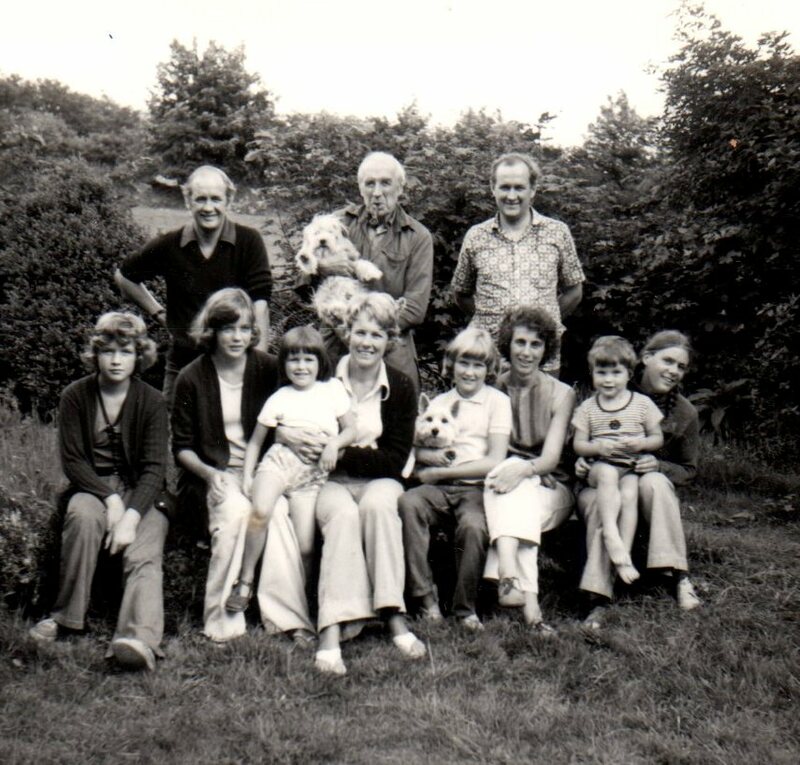 We went on Dartmoor walks and picnics, and I was included in the obligatory family-photo on departure day, on the groaning apple-tree whose trunk ran parallel to the ground. Syl taught me to be a campaigner. I emulated her style and learnt that it is vital to be tough and fearless, never to start by compromising or you give away too much, and never to give up. She was generous in giving me opportunities: she was not one to hog a position when it was time to let go. She invited me to take her place on the committee of the Commons, Open Spaces and Footpaths Preservation Society (later the Open Spaces Society) in 1978 and the Council (later Campaign) for National Parks in 1983. She ensured that I went to Ramblers‘ general council as a Devon Area delegate in 1982 which enabled me to be elected to the executive committee that year. These were my openings to the national scene, all thanks to her. There may have been 51 years between us but Syl was like a contemporary, modern in her outlook, quite unshockable, and such fun. I am so lucky to have shared 28 years with her and to have been part of her wonderful family. This entry was posted in campaigns, Dartmoor, National parks, Open Spaces Society, Ramblers and tagged campaigns, Dartmoor, Dartmoor Preservation Association, Open Spaces Society, Ramblers, Sylvia Sayer. Bookmark the permalink. It would be nice if the DPA Wikipedia entry could reflect Sylvia’s contribution. Much that was there originally about her was cut out by someone.